We were delighted to recently welcome John Wilson, back to Ballymaloe. John Wilson, one of Ireland’s top wine writers, and wine correspondent with The Irish Times, gave a tasting at Ballymaloe Cookery School, of a selection of wines from his new wine book 'Wilson on Wine 2015', published by The Irish Times, followed by a wine dinner at Ballymaloe House. Both events at Ballymaloe had different wines, all of which feature in John’s new book. 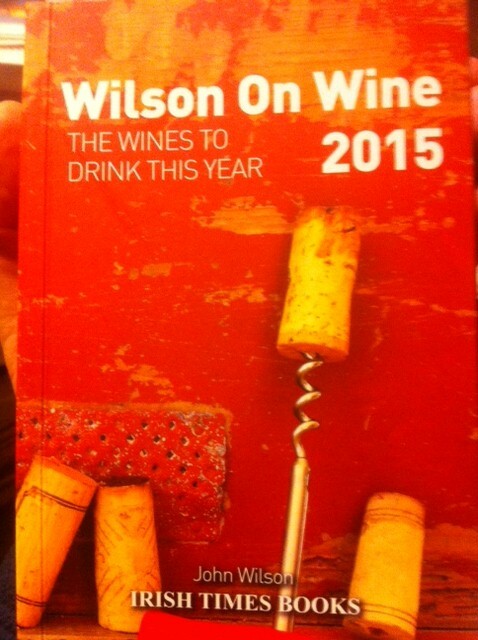 All the wines went down very well (please see John’s new book for further information and tasting notes!). John signed copies of his book after the tasting, and for anyone looking for the ideal Christmas stocking filler for the wine lover in your life, you can find signed copies of John’s wine book in The Farm Shop at Ballymaloe Cookery School and The Shop at Ballymaloe House, and in Cork city at Bradley’s Off-Licence, North Main Street, Cork City. John, as always, gave a brilliant talk, tasting and wine dinner. Our thanks and appreciation to John!